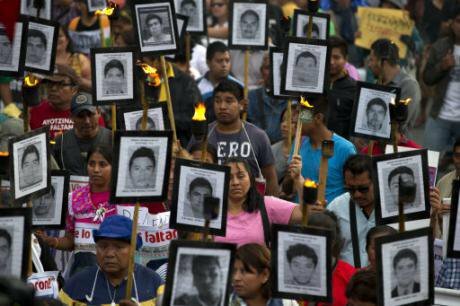 Family members and supporters of 43 missing students in southern Guerrero State protest in Mexico City. 26 April 2016. AP Photo/Rebecca Blackwell. 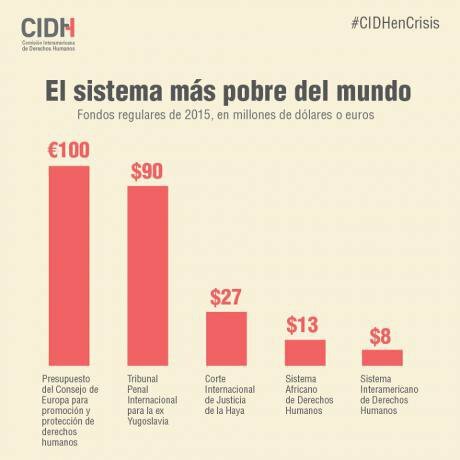 The regional human rights institution in the Americas, the Inter-American Commission on Human Rights (IACHR), publicly announced on 23 May that it is in deep financial crisis. If no emergency funding is found by mid-June, the Commission will lose 40% of its staff by the end of July. The impact of these forced cuts on the human rights protection and promotion in the 35 member states of the Organization of American States (OAS) will be devastating. The Commission was created in 1959 by OAS Member States with the mandate to ensure that human rights were promoted and protected in the hemisphere. Since then, the Commission has travelled across the region documenting human rights violations through on-site visits. It has published multiple thematic and country reports on a broad spectrum of rights. Through its thematic reports, development of policy guidelines, and technical assistance to governments, the Commission has advanced human rights standards, in such diverse areas as freedom of expression, women’s rights, rights of persons deprived of liberty, indigenous rights, land rights, and LGBTI rights, to name just a few. The Commission has granted protection measures to people in imminent danger, particularly in response to demands from human rights defenders in Latin America facing serious threats and intimidation, but also in aid of prisoners facing the death penalty in the U.S. Together with the Inter-American Court, the Commission has also played a central role in dealing with human rights violations committed in times of conflict or repression and has crafted significant transitional justice standards on truth, justice, reparation and guarantees of non-repetition. The current financial crisis exacerbates a recurrent problem. The immediate cause of the crisis is not financial however; it is rooted in the absence of the necessary political will by OAS Member States to support the Commission’s work. As pointed out by James Cavallaro, current President of the IACHR, in 2015 Latin American and Caribbean countries provided 13.7 million US dollars to the International Criminal Court – which is not exercising jurisdiction on any situation involving an OAS Member State (only one situation is under preliminary examination: Colombia) - and a paltry 199,000 US dollars to the Inter-American Commission. Resistance may, in part, be an inevitable consequence of being an international human rights institution fulfilling its institutional mandate of monitoring and scrutinizing the human rights records of states. However, increasingly trenchant criticisms in recent years from several member states may suggest that the Commission, as well as the Court, are pushing the very limits of what governments in the region can politically tolerate. Debates within the OAS in recent years highlight an enduring and deep disquiet towards external monitoring and sanction of the human rights records of governments. This suggests that it is precisely the Commission’s increasing clout and political relevance, in the process escaping the control of states, which has prompted significant pushback by certain groups of states within the OAS.